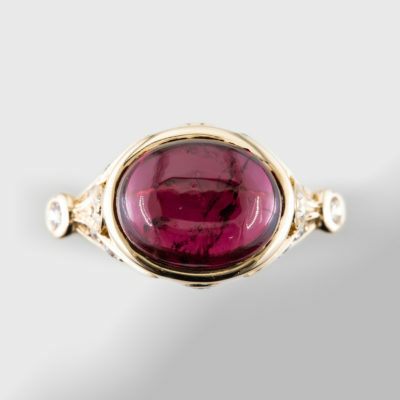 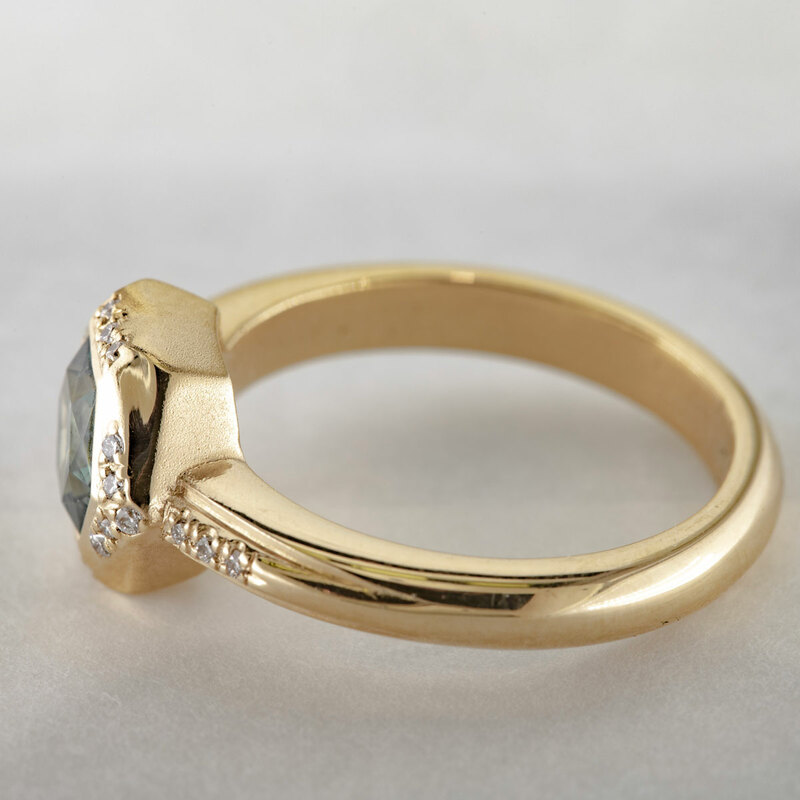 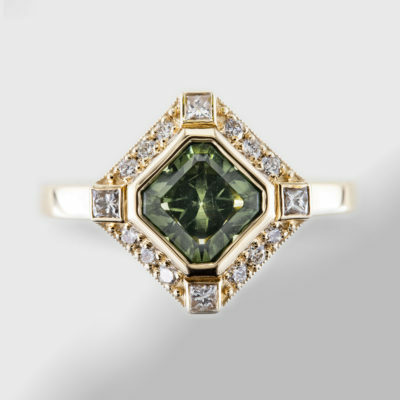 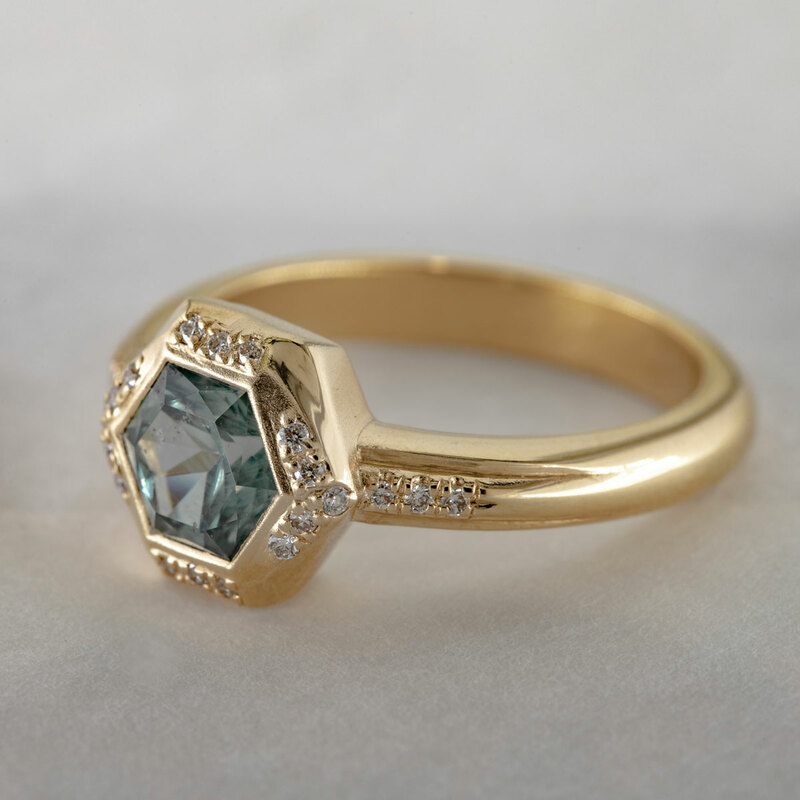 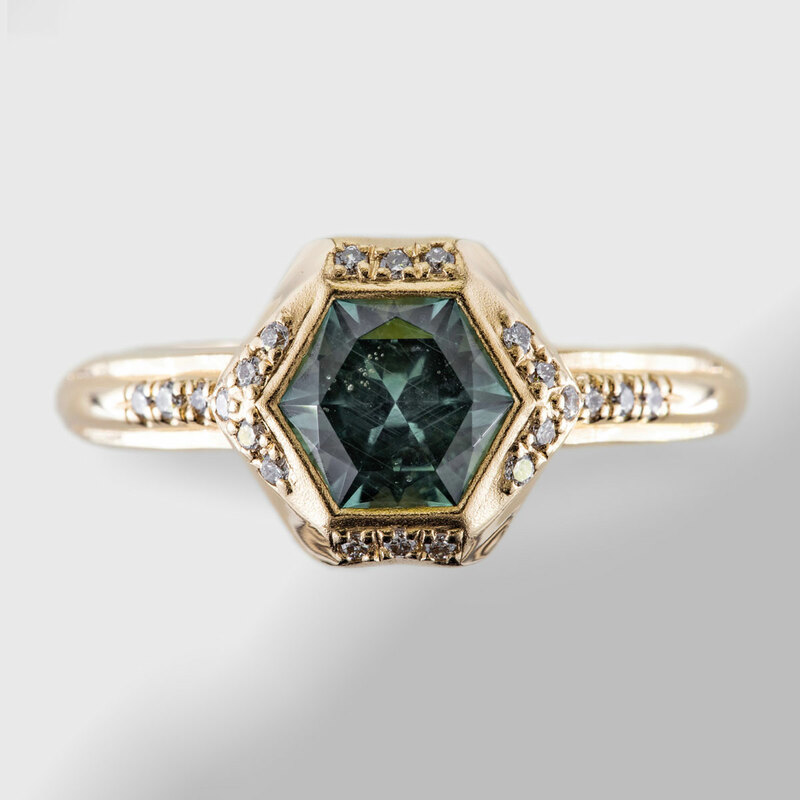 One of a kind hexagon cut Montana sapphire measuring 6 mm, bezel set, with 22 small diamonds in yellow gold. 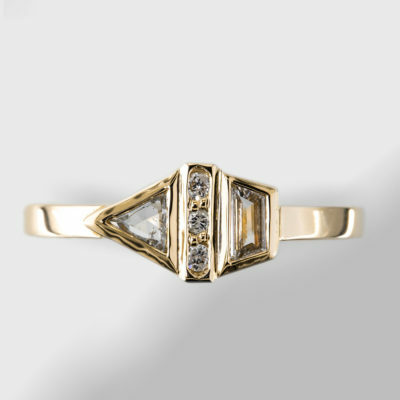 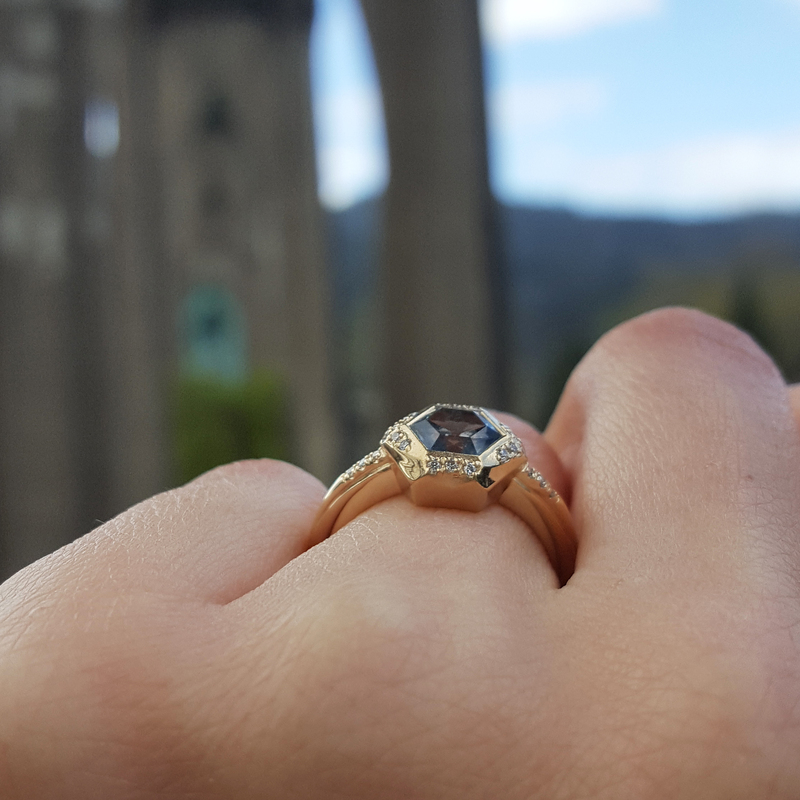 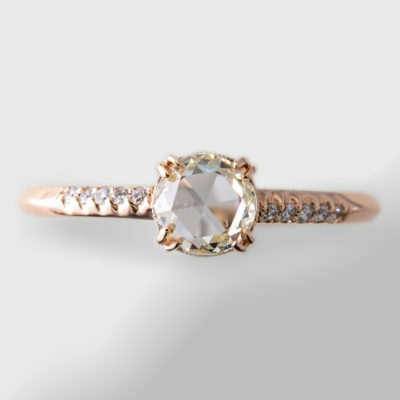 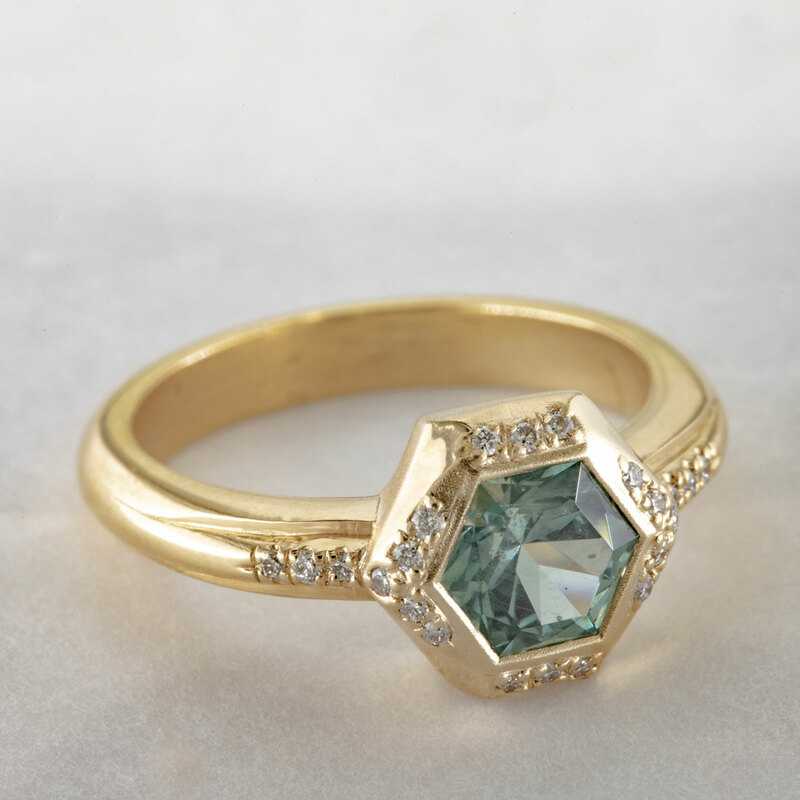 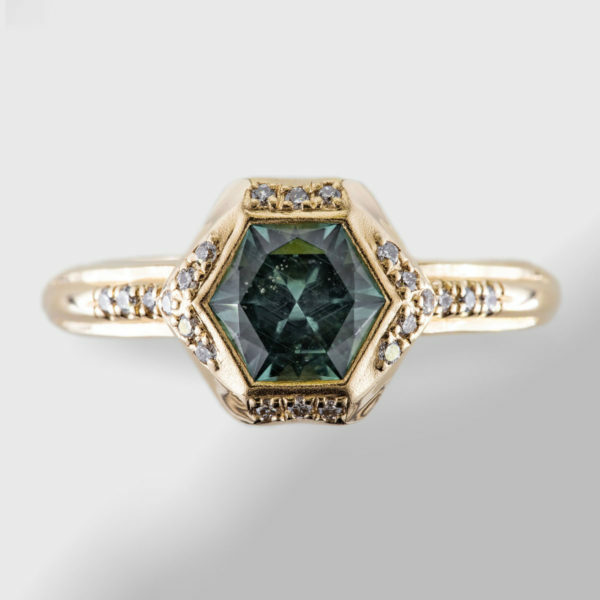 The hexagon shaped ring is faceted with matte finish in select spots to accentuate the depth of the unique, geometric ring. 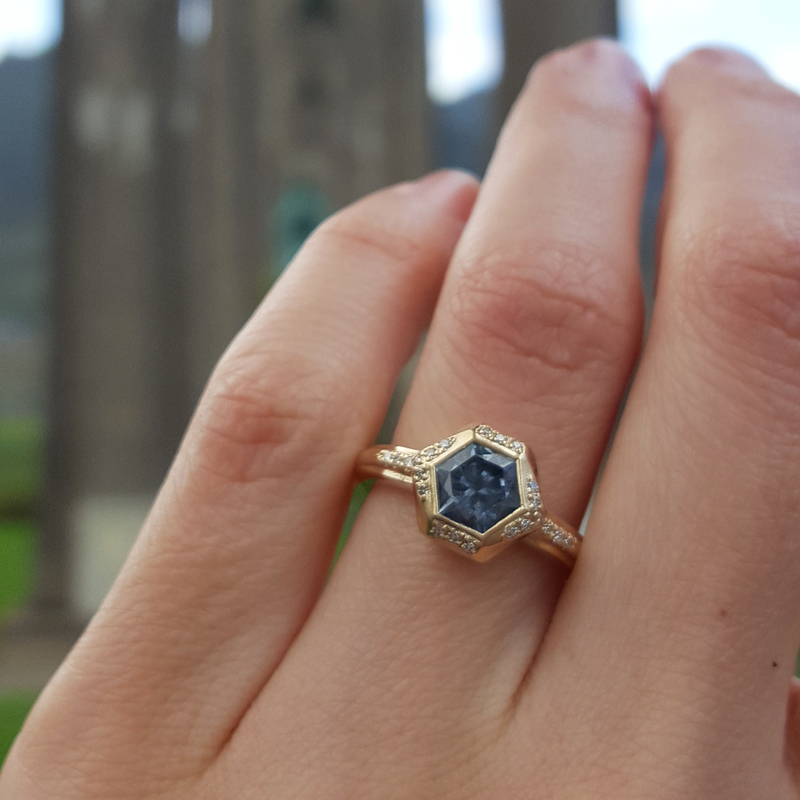 The color of the sapphire changes slightly in different lights, from a steel-blue to a blue-green.